They were quite tall but I lay on the floor to take the picture so they look even bigger! They are gorgeous; so beautiful but prickly at the same time. 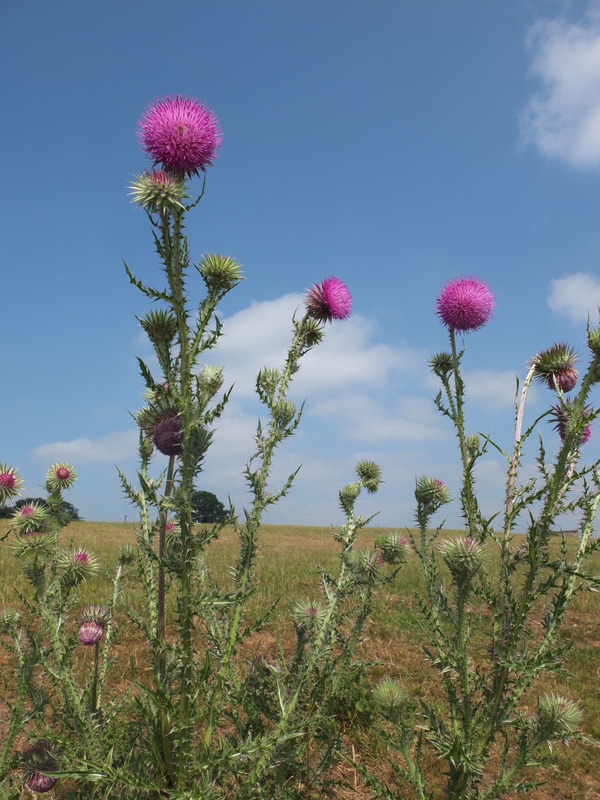 A lovely photo of the thistles against the beautiful blue sky. They’re very pretty for a weed aren’t they? As long as you don’t touch of course.